Which amp(s) do you own? a tiny little Orange Practice Amp. All I need for now and I love it. Which is/are your favorite music genre(s)? These days I'm quite eclectic I like the acoustic stuff but I grew up on the American grunge and then strait on to Britpop. Really like Badly Drawn boy. So rolk and folk? Why do you play guitar? It's relaxing and confidence building. Makes me feel good like I have some talent. What are your goals for the future? I'm just happy to be progressing more than I could have believed. Who knows where it'll take me. Always been on the list of things to do, and with a career change I finally have a little extra time and funds. Become proficient enough to be comfortable doing a blues jam or open mike sometime, maybe write a few simple songs sometime. Since I was 15. However I haven't played for the last 6 years. Recently started again. rock, heavy metal, blues, country. I started with things like red hot chilli peppers, rage Against the machine etc etc. songs that are quite easy for new players. Then I moved onto Metallica and iron maiden etc getting stuck in with the solo's. Who are your favorite bands/artists? I'd have to say chilli peppers are probably my absolute favourite. Other than them I would say iron maiden, chuck berry, stevie ray vaughn, Johnny Cash. My best mate in school got a bass and started having lessons. I would fumble around the fret board making noise. Then he introduced me to tabs and I realised how easy it was to learn songs through tab. One of our other friends had an old encore from one of those £99 starter packs. I bought that and loved it from day one. No and I've never really considered it. Because I love music. Playing it is better then listening imo. Who are your favorite bands? Zeppelin... of course! Listening to a lot Kurt Rosenwinkel right now. What inspired you to start playing guitar? My dad listened to a lot of Wes Montgomery when I was a kid. Why do you play guitar? ... it's just a part of me. I've tried to give it up, but I can't, just drawn to it. What are your goals for the future? to become a true musician, read and write music, truly understand what's going on and why. I like alt-rock and a little bit of indie. I also listen to some metal. My tastes are pretty eclectic. When I first started getting into Radiohead, I would watch their videos live and thought that Jonny and Thom and Ed playing were really cool. I wanted to play just like that. No and I have no aspirations to do so. I just want to learn how to play my favourite songs and play for my own enjoyment. I just want to be able to get to a point where I can play and transcribe songs. Welcome to Justinguitar! Nice to see a fellow Canuck join up. Your goals are pretty much the same as mine. Just playing some favourite songs for my own enjoyment. It's been about 10 months since I picked up the guitar for the first time. I'm having a blast! My only advice? Stick with it! Follow the beginner course and practice every single day if possible. I'm 55 years old and figured I had no musical ability to learn. How wrong I was! Practice hard and enjoy! Thank you so much for your encouragement and I am hopeful I can accomplish my goals eventually and wish you well on your own journey. Started around when I was 16. Tried bass for a few months without actually knowing the difference with an actual guitar. Never had any tuition, which I regret now. As a result my playing was very sloppy and never really evolved beyond power chords. Until I got here I hadn't touched a guitar for about 15 years. Honestly... I saw it as a way to be one of the cool kids and get the attention of girls. It sort of worked, up to a point I do enjoy music (both listening to and playing the guitar) but it's really more of a hobby, not something I would live and die for. My guitar playing gradually died out after moving to an apartment flat, and later getting a family. Now I have moved into a house with thicker walls and a few weeks ago I visited a friend who has a guitar. The guitar bug bit me again, finding this website was the final push I needed to get started again. Hi everyone. Great to be here, this site has an amazing amount of resources. I love it! I mostly listen to hard rock, classic rock, blues rock, but I like all sorts of music. I wish I could say I play Zakk Wylde songs all the time but for now I'm glad I can kinda play along with rod stewarts maggie may hahaha. Fleetwood mac, black label society, the mars volta, CCR, Pantera, many more. my dad who's awfully skilled. I always had an old guitar lying around but it just took me 20 years to find the courage to actually really learn how to play. And to find justins video's ofcourse! Blues, everything with long instrumentals, prog rock, psych rock, Jazz. There’s not much I don’t like. Never played an instrument, always wanted to. Rodrigo y Gabriela’s rendition of Tamacun made me go for it. First and foremost: I love its sound, its feel, its looks. Simple as that. 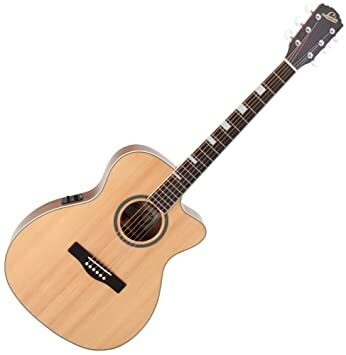 Guitars are incredibly versatile, functioning as accompaniment, as rhythm or lead instrument, they work in punk, rock, jazz and classical music, solo or in band or concert. Incredibly cool! A guitar can be affordable. Guitars are more mobile than acoustic bases or pianos. Since there are so many players, there’s a lot of good, free material readily available, more so than with most other instruments. It means I can learn to play without an expensive teacher. I enjoy playing and singing at the same time. This works great with the guitar, since I like to sing pop songs for which guitar notes/tabs are available online. Where I am now: I’m having fun playing the guitar. I’m around stage 6 of the beginner’s course. I learn simple scales and music theory. Medium-term goals: Have fun playing guitar. Thoroughly understand music theory (because I like it, not because I think I have to). Learn to play blues. Long-term goals: Have fun playing guitar. Make the guitar part of my body. Understand and play jazz. Go to jazz jams. Which guitar do you currently play on? The Epiphone. It's very beginner friendly. Jumbo frets, light strings. Lovely to play if you're a newby. It's cheap, and all laminate, and a bit tinny, but it's the first guitar I paid for myself, so I love it. My next guitar will be an Epiphone Masterbilt, or a Seagull. Which amp(s) do you own? None. I'm mostly interested in acoustic guitars. I do have an irig to plug my electric into my iPad/iPhone, and that works just fine. How long have you been playing guitar? Just started, complete beginner. I did learn a tiny bit when I was about 8, but can't remember 33 years ago. Which is/are your favorite music genre(s)? Country. Which, for a bloke from Yorkshire maybe a bit odd. But, it's very relevant to a kid from a mining town. Which genre do you play on your guitar often? Hah, do 'chords A, D, and E' count as a genre? If so, that. Who are your favorite bands? Kacey Musgraves. Jason Isbell. Rascal Flatts. Charles Esten. What inspired you to start playing guitar? As I said above, I played a tiny bit as a kid. I always wish I'd never stopped. Do you play in a band or have you been playing in a band? Nope. This is purely for me. Why do you play guitar? I love the sound of acoustic guitars. They're so simple, but have such a depth to them musically. They're also incredibly versatile. You can do so much with one guitar. What are your goals for the future? To complete all of Justin's course. I'm 48 and have been playing guitar now for over 20 years, must be nearly 30 now. I have played in bands, quite a few, but was mainly rhythm. I got the kick, by mutual consent, from the last band I was in about six years ago now which I must admit was a bit of a relief to my wife as it was starting to take over our lives. I have paid for some guitar courses online which went nowhere as well as going to a tutor for a year which also came to an abrupt end as he thought i was too experienced to teach. I was told to try Justin's course by an old band mate of mine whom i bumped into one day. After a good look over it and looking at what was to offer I decided to start at the bottom and work my way up which had surprising results, its amazing what you forget and what I learned also. I studied vigorously over it but had lots of fun along the way as he is so laid back and 'cool' as he so likes to explain a lot of his lessons. I've completed the intermediate course and would love to go on and learn the blues as its always a style of guitar I'd love to play. The bands I've been in have been rock,grunge and then it got a bit heavy like, leading to arguments and my final departure. I think my band days are over so it's just a case of take it easy and grow old time. I know I don't know it all as guitar is a never ending thing and you tube just shows random videos where this is more structured. it been a pleasure speaking to you all and I'd love to post anything on to let you here how far I'm on, I'm no Eric Clapton or SRV. Any advice would be a godsend. Let the blues ring out man!! !